Scotland’s government is leading the way against throw-away culture by banning single use disposable coffee cups in its main buildings. Staff have been given notice that starting 4 June all hot beverages will be served in reusable mugs, and if they wish to buy a takeaway, they must provide their own ceramic cup. This latest decision is in support of the EUs endeavour to reduce the use of throw away plastics by 2030, as well as ensuring all remaining single use plastics are easily recyclable. The ban, which is predicted to prevent the disposal of 450,000 cups per year, will be enforced in the main Scottish parliament buildings including St Andrew’s House, Saughton House, Victoria Quay, Atlantic Quay, Marine Lab as well as Buchanan House restaurants and cafes. This is the second effort from Scotland’s government to reduce throwaway plastics; on 2 February, it also banned the use of plastic straws in its buildings. It is currently researching additional methods to lead by example by further tackling throw away culture throughout Europe. 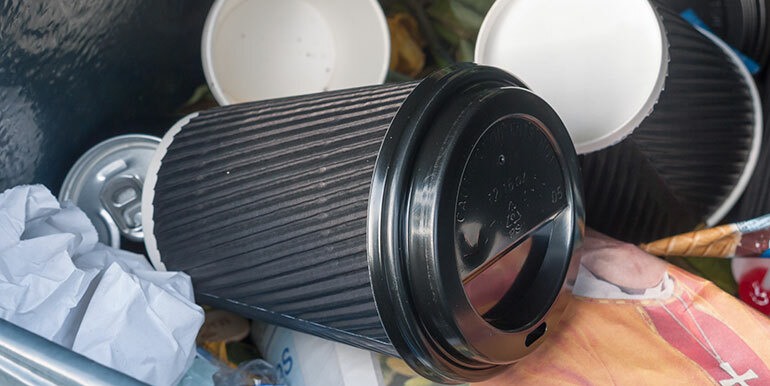 To find cafes closer to home that support the use of reusable coffee cups and offer customers discounts for bringing their own cups, check the interactive google map through the Responsible Cafes Organisation.